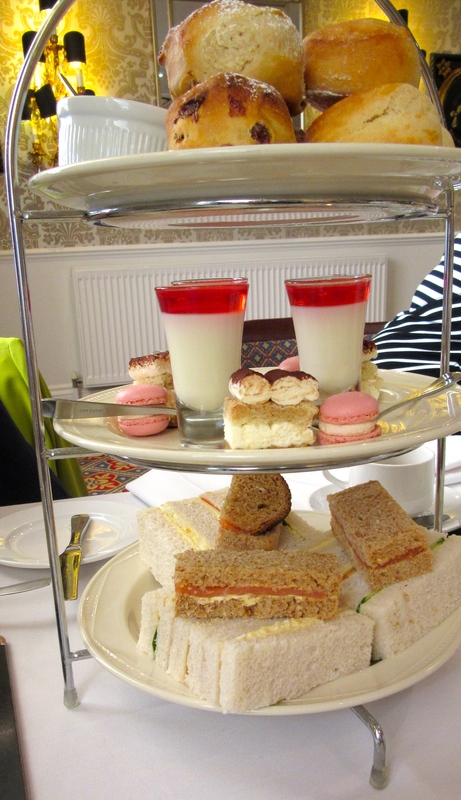 A few Saturday’s ago, I took my ex parents-in-law out for Afternoon Tea for my mother-in-law’s 70th Birthday. 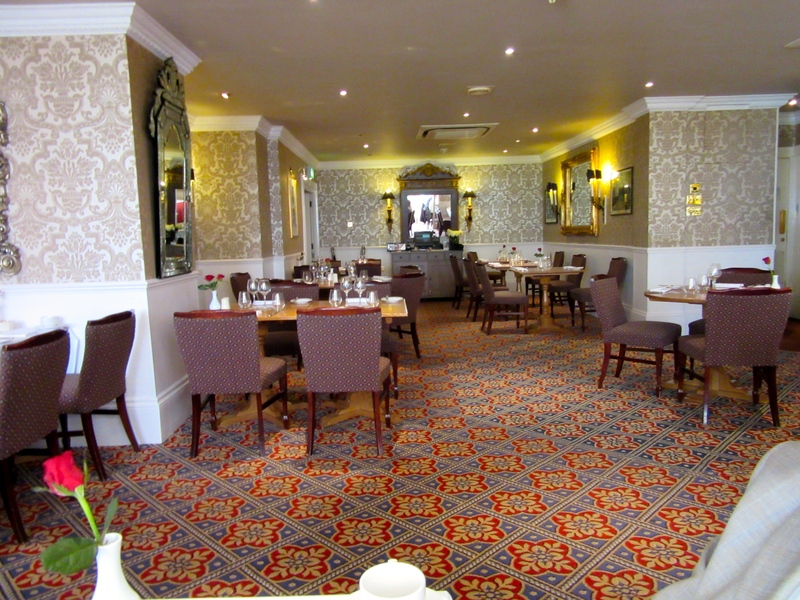 I wanted to do something really special, so we all went for Afternoon Tea in Stratford-Upon-Avon at The Grosvenor Hotel. The only negative thing about the hotel, was the car park! Apart from having nowhere near enough car parking spaces, it was so narrow and didn’t go all the way around, so when you drove round to find a space, when you realised there weren’t any it was a nightmare to get out of the car park! Thank goodness for the fact that I have a Fiat 500!! Ok, so that’s the moan out of the way. We ordered the Deluxe Afternoon Tea which comprised of the usual sandwiches, scones and cakes, followed by chocolate fondue!!! The finger sandwiches were lovely, they always look so neat and delicate. The fillings were quite simple, smoked salmon, cucumber, egg mayo and cheese and tomato. If it was me going with friends, I would have liked to have seen something a bit more adventurous, but it was the non-adventorous nature of the sandwiches that made me choose the Grosvenor for this occasion. 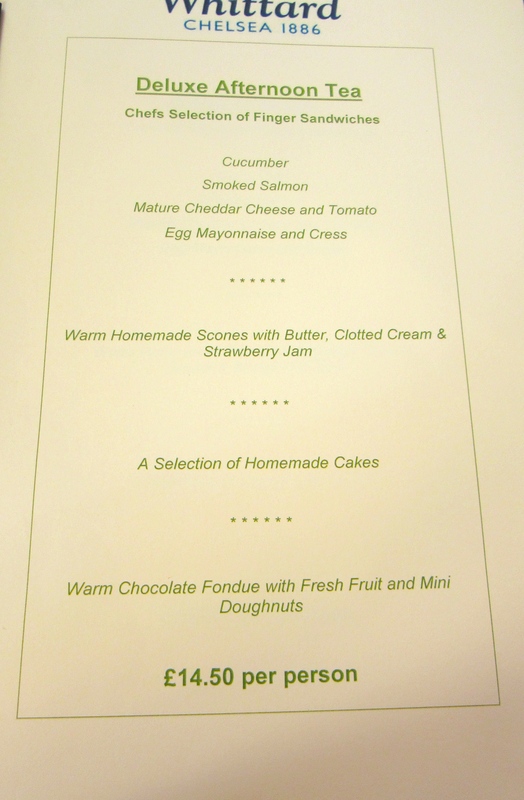 Next up were the little mini cakes, again, quite simple – tiramisu, fruit tartlets, pancottas and macaroons. The tiramisu was far too coffee like for me but the rest of the cakes were lovely. The star of the show by far, were the scones. They were warm and moist and served with plenty of Jam and Cream. I hate dry scones, as they crumble and have a horrible texture in the mouth, a bit like wallpaper paste. No need to worry about that with these scones, everybody really enjoyed them. 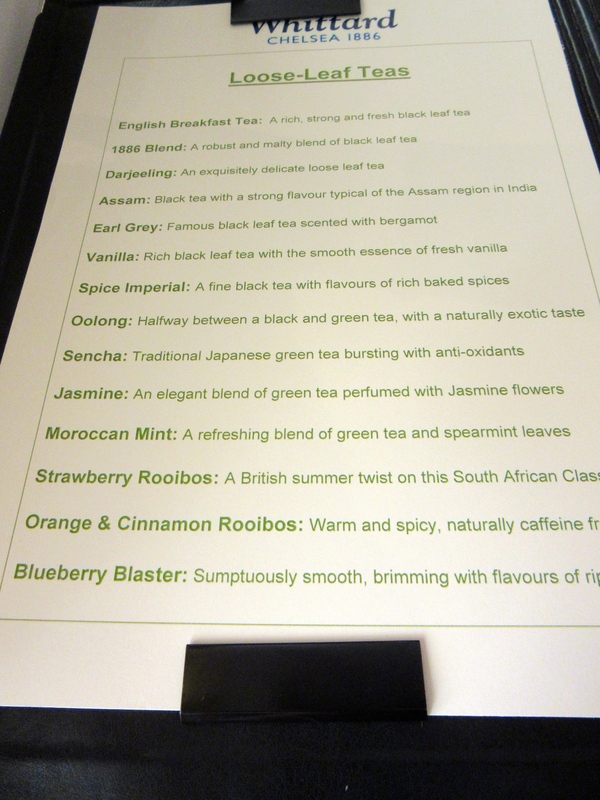 Another highlight was the selection of teas that were on offer. 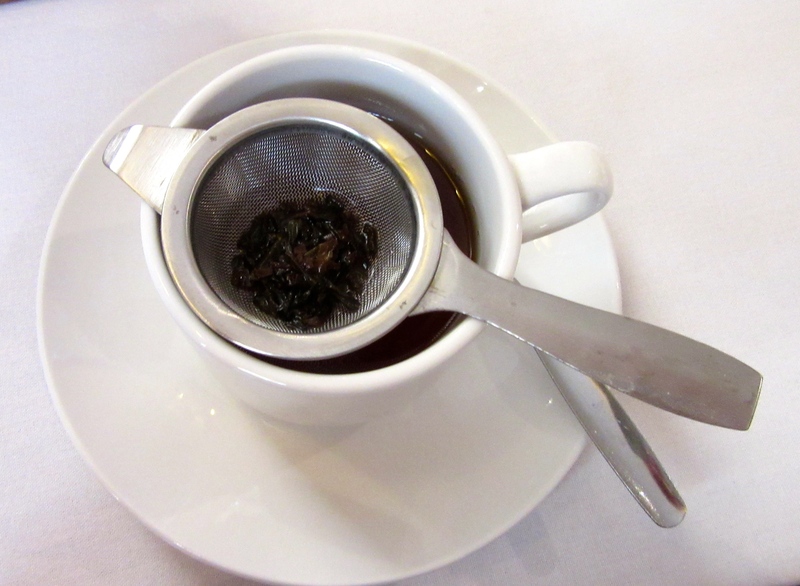 The majority of the table stuck to English Breakfast Tea, but I went for the Vanilla flavoured Tea as I love all things Vanilla, and this went really well with the Afternoon Tea. Plus it was in endless supply, which is always nice to see when having Afternoon Tea. 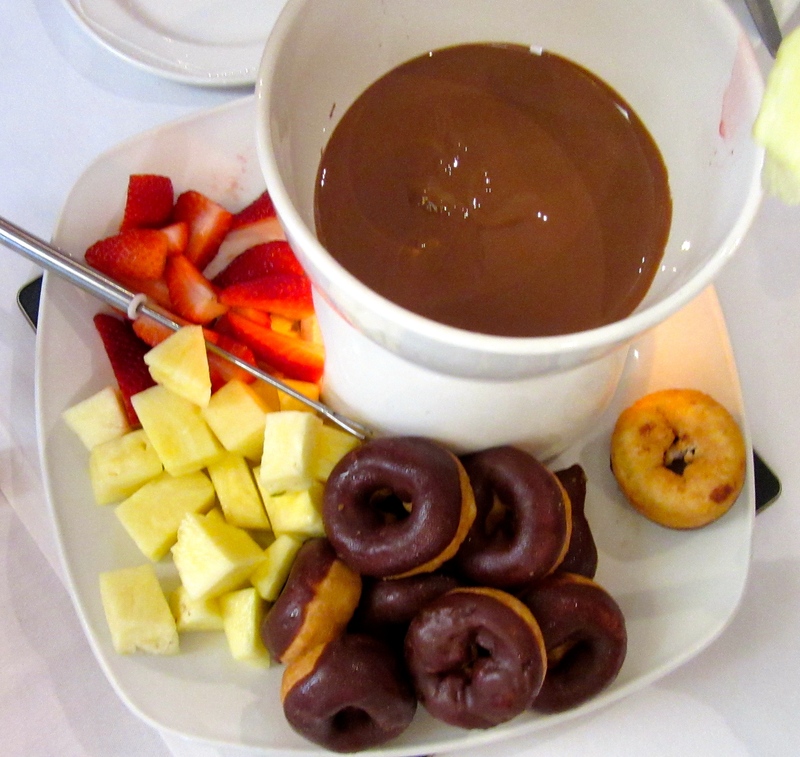 To finish it all off, we had chocolate fondue. We had a choice of milk, white and dark. We went for the milk variety to satisfy everyone, and there was quite a bit of it! And boy did we (or me) make a mess!! This was a perfect way to end a lovely afternoon. I would recommend The Grosvenor Hotel if you wanted a simple, English Afternoon Tea, but if you want something a bit more fancy then I would maybe try Selfridges Afternoon Tea, which I reviewed last year here. 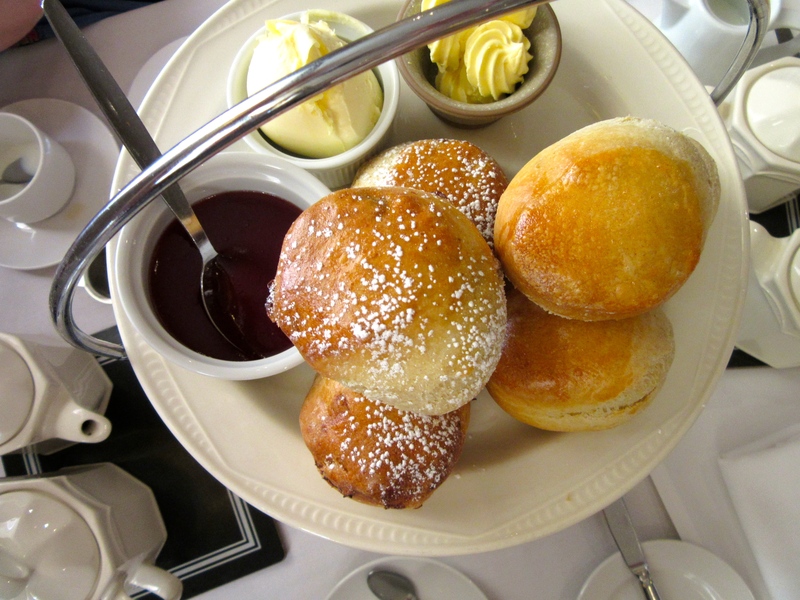 Have you got any recommendations for Afternoon Tea that you would like to share? Would love to hear them!